Signs Visual prints high quality, high-resolution backlit vinyl graphics and duratrans prints for lightbox displays in New York City. Our backlit vinyl signage are perfect for point of purchase illuminated displays and thin lightbox displays. The duratrans or backlit vinyl material is translucent so that the image can be illuminated from either the back or thru edge-lit depending on the type of lightbox they are inserted in. 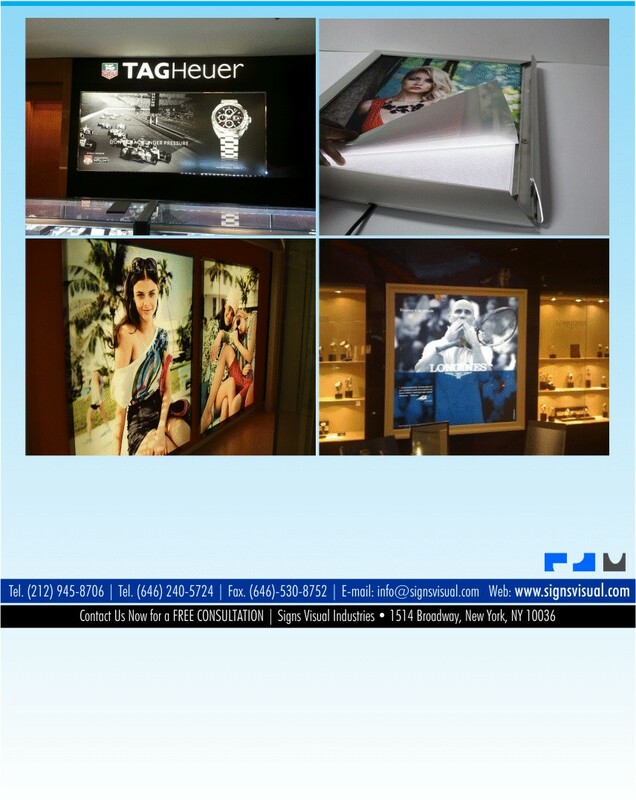 Contact us today for a free quote on your next backlit-vinyl banner order in NYC!